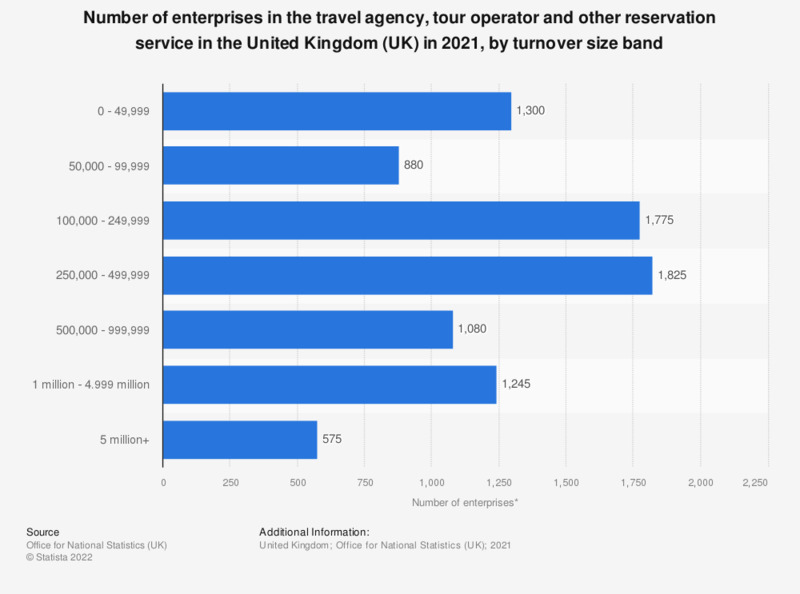 This statistic shows the number of VAT and/or PAYE based enterprises in the travel agency, tour operator and other reservation service and related activities sector in the United Kingdom from 2013 to 2018, by turnover size band. As of March 2018, there were 545 enterprises with a turnover of more than 5 million GBP in this sector. Standard Industrial Classification (UK SIC 2007) Division 79. Everything On "Travel agencies in the United Kingdom (UK)" in One Document: Edited and Divided into Handy Chapters. Including Detailed References.